Last week I was talking to a patient about a tooth they were having a problem with. The tooth was badly broken and the patient assumed that it would need to be removed. I explained to the patient that taking the tooth out was one option that would solve the immediate problem. Losing this tooth would create a new problem…what to do with the space created by losing the tooth. But that, my friends, is whole other blog post. The pulp is actually pretty well defended by the outer layers of the tooth, but if tooth decay invades deep enough into the tooth or the tooth is broken, the pulp can become infected with oral bacteria. Your immune system puts up a pretty good fight, but usually once the pulp has been invaded, the pulp tissue will eventually die. If this happens, the entire root canal space can become infected which is what we call an abscess. Root canal therapy is done when the pulp tissue is damaged or infected. The goal of root canal therapy is to clean out the damaged pulp tissue from the root canal, then disinfect the root canal space and seal it from top to bottom so that oral bacteria can no longer gain access into the space. A dentist does this by drilling a hole through the crown of the tooth and using tiny instruments to remove and clean this space. Then a filling material is packed into the space to seal the tooth up. Once this is completed the tooth must be restored with a filling or more likely a crown or an onlay. So after explaining to my patient that she could opt to save the tooth with root canal therapy she told me, “root canals don’t work on me.” When I asked her what she meant she told me, “I’ve had 3 or 4 root canals and I ended up losing each one of them. Why should I go through that again when I’m just going to lose the tooth?” Whoa! That’s a pretty serious claim! Do root canals “just not work” on some people? chronic infection: You’re likely to have a better root canal therapy outcome if the tooth hasn’t been infected for a long time. Occasionally a tooth can be traumatized and not have any symptoms for years, even decades! Often these teeth will become darker than surrounding teeth even though there is no pain or swelling associated with the tooth. These teeth usually have a low grade, chronic infection. Treating teeth that have been infected for a long time is much less predictable than a tooth that was never infected. 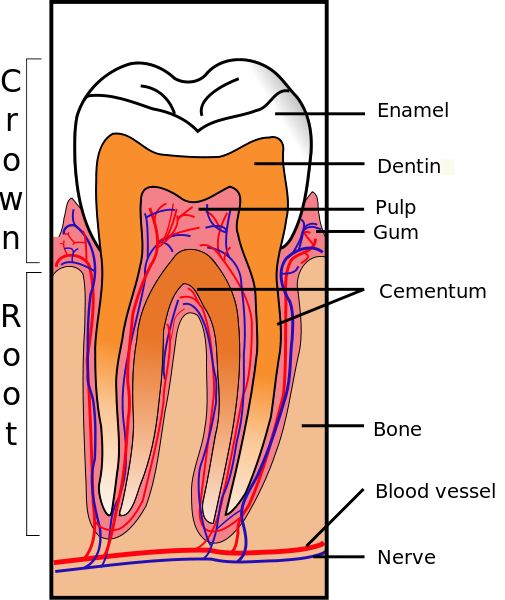 missed anatomy: Unfortunately, root canal systems are complex and variable. 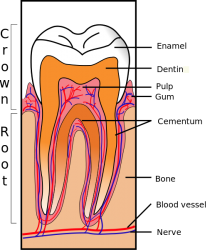 It’s difficult to find all the pulp in a tooth and even more difficult to make sure it’s all removed. At Mead Family Dental we use a dental operating microscope for all root canal procedures. This helps us find as much of the pulp tissue as possible. However, sometimes we can’t find all of it and if we’ve missed some of the pulp tissue sometimes people have problems like pain and reinfection. This is relatively rare, but not unheard of. restoring the tooth: We don’t do all of these procedures at our office. 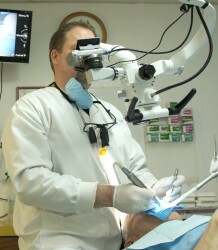 Often we’ll refer to a specialist called an endodontist who does only root canal therapy procedures. Usually when an endodontist finishes this procedure they’ll place a provisional (temporary) in the tooth. Since root canal therapy can cost upwards of $1000 per tooth, often times people would prefer to wait to do a conventional restoration like a bonded filling or crown. This is the mistake that is the primary cause of the “root canals don’t work” myth. Temporary fillings are just that. Temporary! If this short term filling washes out, the sealed space that the dentist just meticulously disinfected becomes infected by oral bacteria again. reinforcing the tooth: Every dentist that treats these problems has to walk a tightrope. The hole that they open into the root canal space has to be big enough so that you can see what you need to see, yet small enough to remove as little tooth structure as possible. Sometimes this access requires the removal of so much tooth structure that the tooth becomes weakened. Teeth that have had root canal therapy are often best treated with a partial or full coverage restoration like an onlay or crown. These teeth should be treated as soon as possible after the root canal treatment, otherwise they are at great risk of fracture. Root canal therapy is usually quite successful. I don’t believe that there’s a certain kind of person that just shouldn’t have root canal therapy. I do believe that there are some people that have had catastrophically bad luck with root canal therapy and other dental treatments, but I firmly believe an honest talk with a trusted dentist can help get to the bottom of past dental treatment failures. Understanding why we sometimes see bad outcomes with the treatment can help you decide if it’s right for you! Did you find this post scary? Did it make you want to run out and have a root canal? I’d love to hear about it! You can share any Mead Family Dental post with a “Like” on Facebook, a “+1″ on Google+ or you can even “Tweet” it with Twitter! All you need to do is hover over the heart shaped button next to the title of the post. Or you can leave a comment by clicking on the balloon shaped icon next to the title. 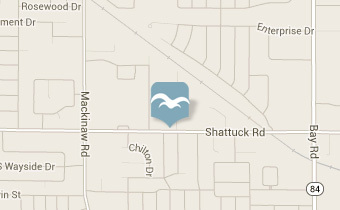 If you’re looking for a dentist in Saginaw, we’re always happy to accept new patients! You can request an appointment online or call the office at (989) 799-9133. And, as always, you can email me at alan@meadfamilydental.com. I always answer my own emails!